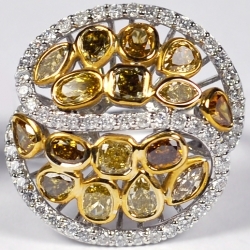 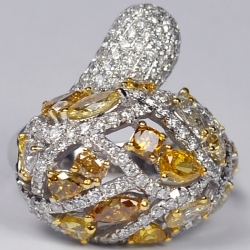 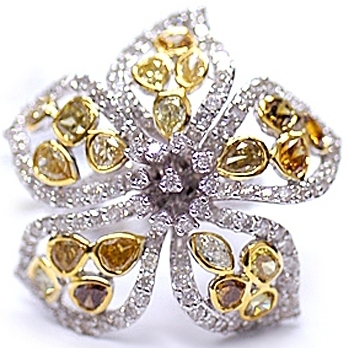 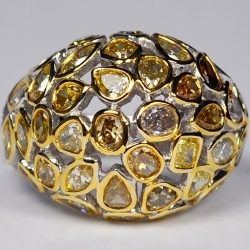 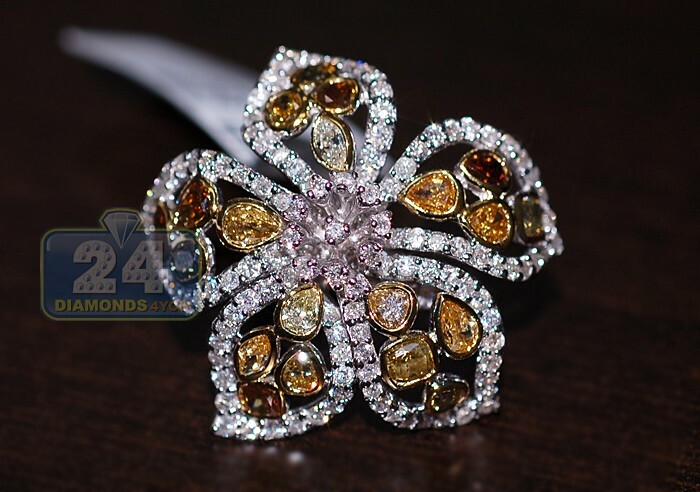 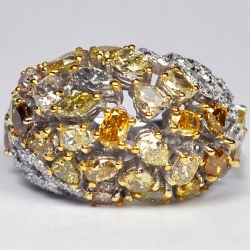 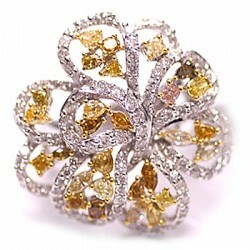 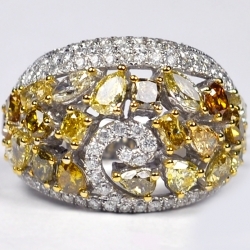 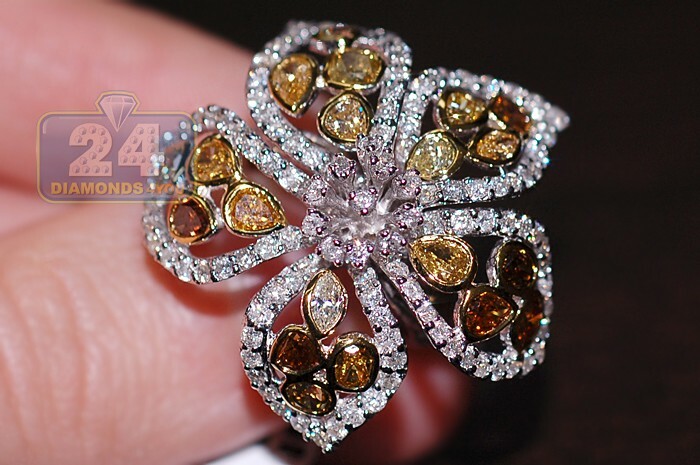 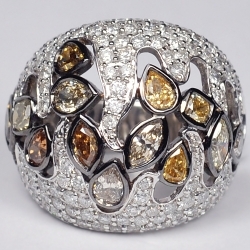 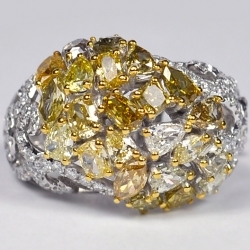 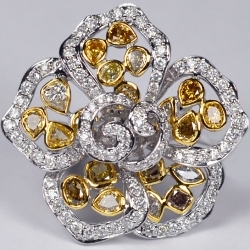 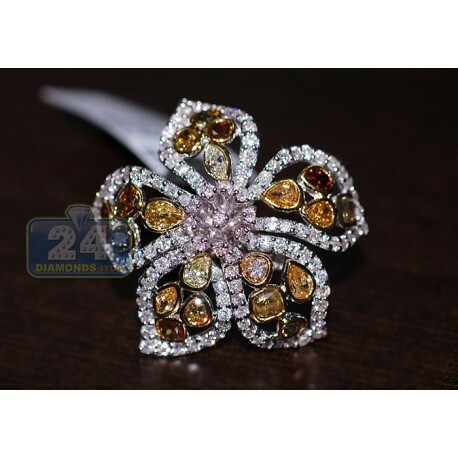 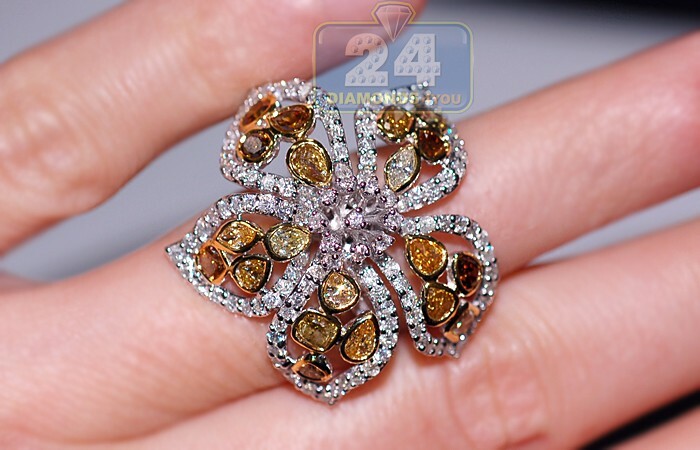 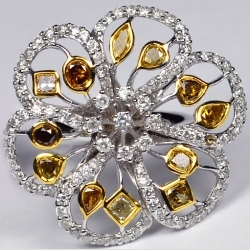 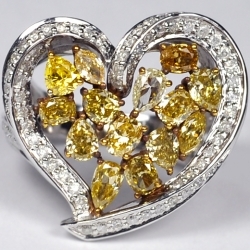 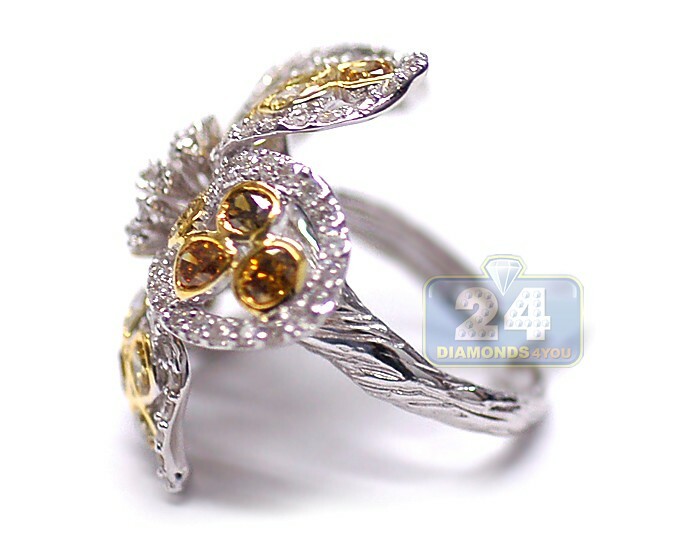 Gorgeously shaped and masterly crafted, our vintage inspired ring features a stunning flower design artfully covered with genuine fancy yellow, brown and icy white diamonds weighting 5.16 carat in total. 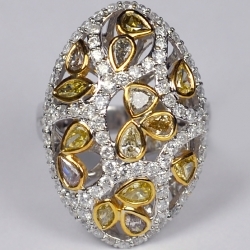 Multi-colored oval and pear shape brilliants are gorgeously bezel set in 14k yellow gold petals for the realistic floral look. 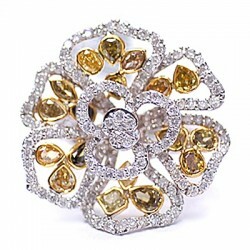 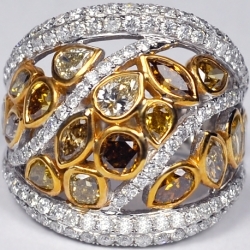 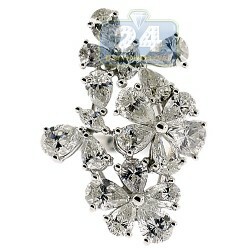 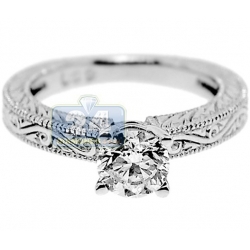 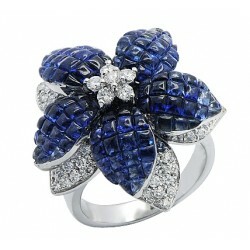 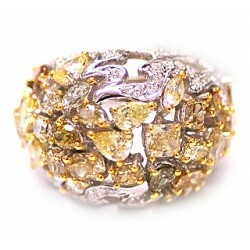 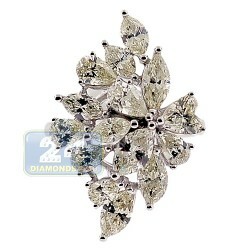 Stay fabulous with this exceptional jewel!